Patience and Min think it is astonishing that a temperate rain forest giant can also be so beautiful and small. Another little cedar with beautiful gnarly roots. Such a beautiful peaceful garden…Patience soaks up the restorative atmosphere.. 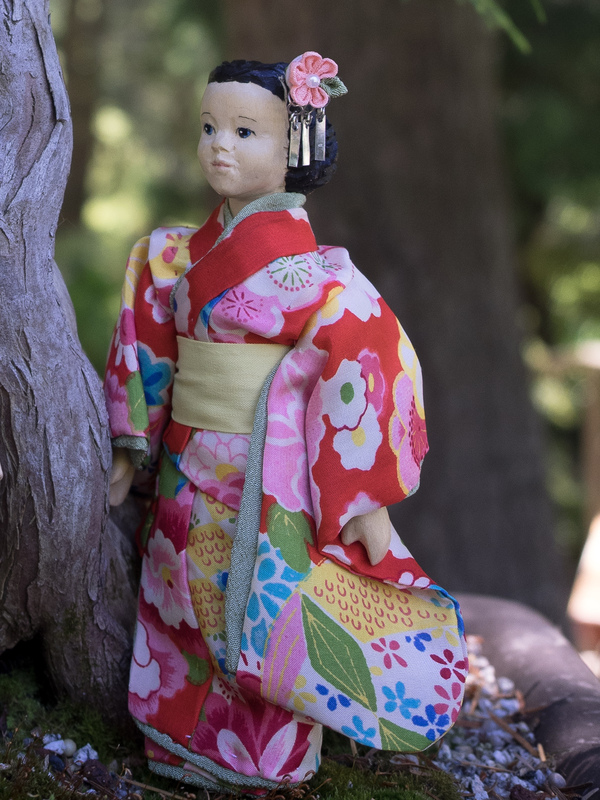 The Human and a couple of Hittys are away for a few days, we will be showing some pictures from the Takata Garden while we are out of town. I should have internet access and be able to reply to your comments should you write any! Like Hitty dolls, the intricacy, delicacy and artistry of each tree is a treasure in itself. Thank you for this serene and contemplative walk through the garden. These cedars were so pretty…and the gardens are definitely a lovely place to visit, the Hittys are thinking of taking out a membership. 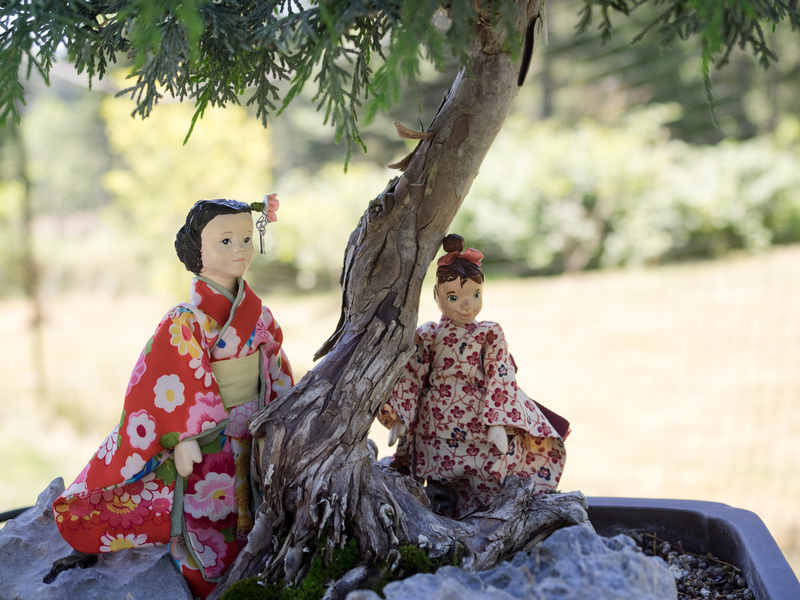 I have been enjoying the HIttys’ explorations of the Takata Bonsai garden so much! Sadly, my computer is not allowing me to click ‘like’ anymore, so I will just have to tell how much I love these photos! Thank you! 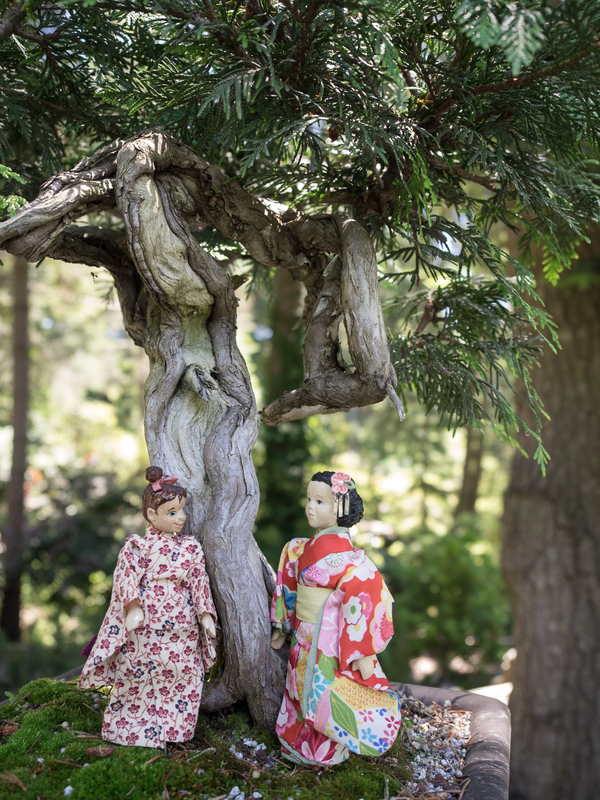 The Bonsai Hittys and I thoroughly enjoyed the Takata Japanese Garden and hope that the Quimper Hittys and their human might be able one day to visit our local Bonsai Garden! We love that garden and plan to visit it often. We’d love to visit your local Bonsai garden! Let’s do it!